I haven’t been to the gym in months, and yes, I’m getting a bit doughy. I admit it! I’m kinda watching what I eat; no cake (except if Raji forces me), no ice cream (unless its on Sweet Potato pie) and especially no chocolate (gateway drug for people with a sweet-tooth). I stuck fast to these rules until last week, when a client introduced me to the deceptively named Omanhene Bean Co. Despite its name, the company does not in fact sell any beans. 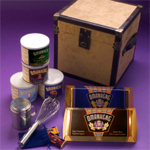 Its a purveyor of edible kryptonite, elegantly packaged and swiftly delivered. The company is a vendor of chocolaty goodness in a array of temping formulations, from bars to powders, all grown and processed in a manner that makes the “good doers” at UNESCO proud. Trendwatching: Eco-fatigue, Gen Z and Pet-Passe the future of marketing! As someone who watches for trends in technology one of the many sites I frequent is Trendwatching.com. They offer a bevy of free research reports on global Trends with pithy insightful commentary and links. If your not getting their free reports or buying the paid stuff, then your missing out. Their most recent Trend Briefing is by far the best I’ve read so far. They pulled out all the stops for this, their 5th anniversary issue, covering 5 of the hottest trends that are happening right now. Hats off to Amber McCracken, who knows how to write a press release headline. This top notch PR Flack for the National Womens Health Resource Center managed to write a headline that was so good, it jumped off the page, grabbed my eyeballs and forced them to scan a 12 page executive summary of something I have no interest in. What was it? How could I resist the possibility of finding definitive proof that women were just as selfish as men? I couldn’t, thats how. Being the consummate professional, Amber created another headline for an audience apparently more interested in helping women then I was because i didnt even glance at it twice. 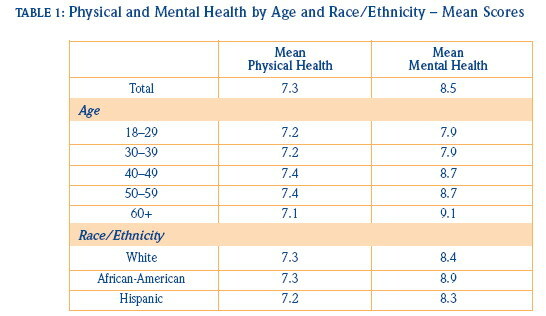 It turns out that the rather then the chart heavy, management consulting drivel, I’m used to, the good folks at the NWHRC actually put out real information. Which in case you’ve never seen it, tends to be lengthy, verbose and a real snoozer, Amber’s catchy headline not withstanding, this report is no exception. I didn’t even make it all the way though the executive summary, which was 12 pages long. Not to worry I got a screen grab from one of the reports more interesting charts…the scale is from 1 (very poor) – 10 (excellent) . Does your pre-teen need both style and stopping power? Tired of all the other survivalist sporting the same AK-47 as you? Well the good folks at GlamGuns have a solution, the Hello Kitty AK-47. It fires 10 rounds per second and has an effective kill range of 300 yards. Making it the best looking assult rifle for the murderous rages of your pre-teen girls. Battlestar Galactica Razor 3 Weeks Early. Thanks NBC. If your not watching the geek greatness that is Battlestar Galactica then you are missing one of the greatest male soap operas on TV. Yesterday, while perusing my favorite Bittorent sites to get caught-up on the latest episodes of Avatar, Weeds and Dexter, I saw an entry for Battlestar Galactica Razor. “This couldnt be the highly anticipated 4th season premier”, thought I. I joined the crowd leeching the file and sure enough, in about an hour, I had all 87 minutes of the yet-to-be aired season opener, complete and commercial free. Oh and its back to its original, tension filled, beautifully shot glory! The official Battlestar Galactica site says the show will premier on November 24th at 9pm… A full 3 weeks from now. Why? Its been shot, its been edited, its been pre-sold to advertisers and you can even order the DVD. So why arent our good friends in TV land acknowledging that online distribution is another release window with its own rules, and value chain? Why is Hollywood still fighting this losing battle? The early release of Razor means I wont be watching its premier on TV and NBC Universal has lost another opportunity to advertise at me. Where is Hulu, NBC’s vain attempt to replace YouTube, in all this? Its out there struggling to attract a user base with a silly name and few shows you can get a bunch of other places, without the weird commercials interruptions. You are currently browsing the Change Is Good blog archives for November, 2007.